DO NOT, DO NOT, DO NOT!!! SUBMIT YOUR PERSONALIZATION BY CONVERSATION. YOUR ORDER WILL BE CANCELLED IMMEDIATELY!!!!!!!!! 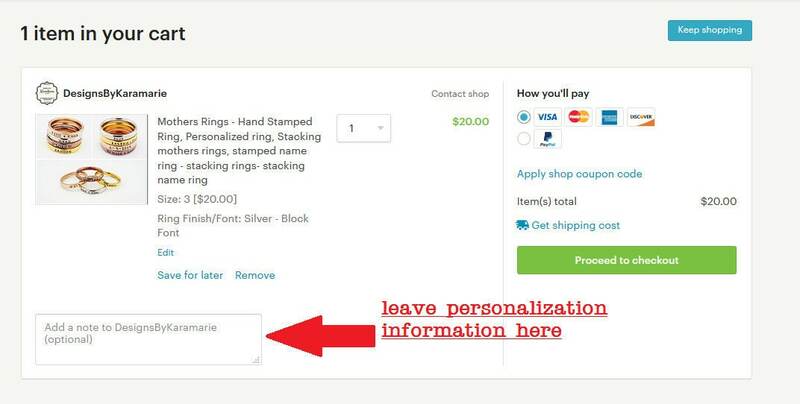 IT MUST BE WRITTEN IN THE NOTES TO SELLER SECTION AT CHECKOUT, BEFORE YOU PAY! 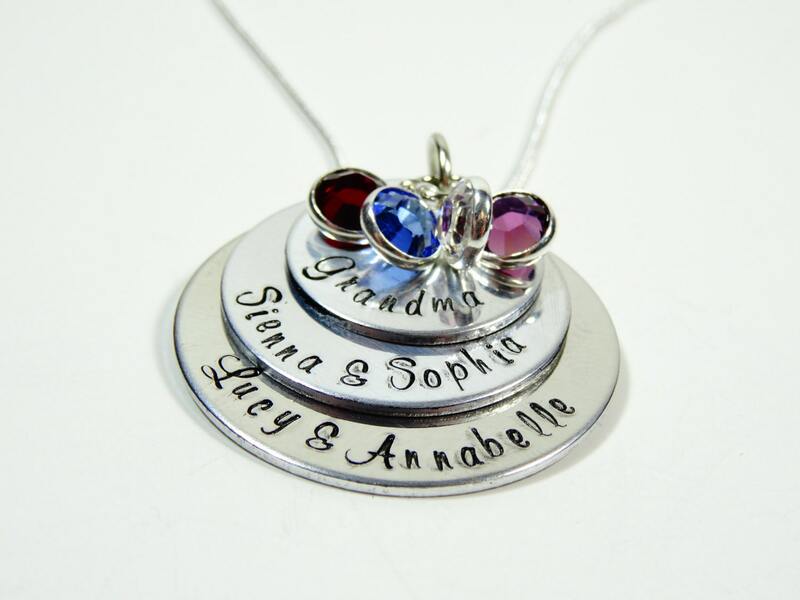 Here is a 3 layer hand stamped grandma necklace! 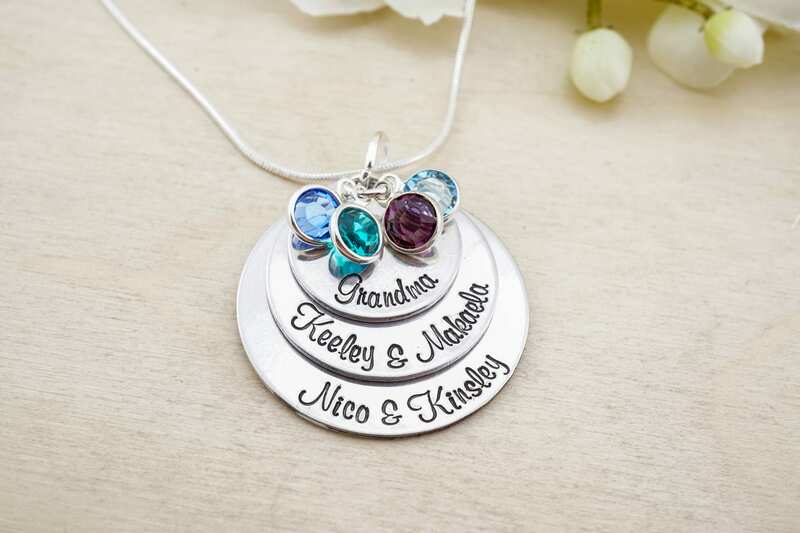 This one features a small 18g food grade aluminum disk that is stamped with the word grandma (or can be personalized: grammie, gran, gramma, etc...) . It can then fit 2-3 names on each of the other two disks. 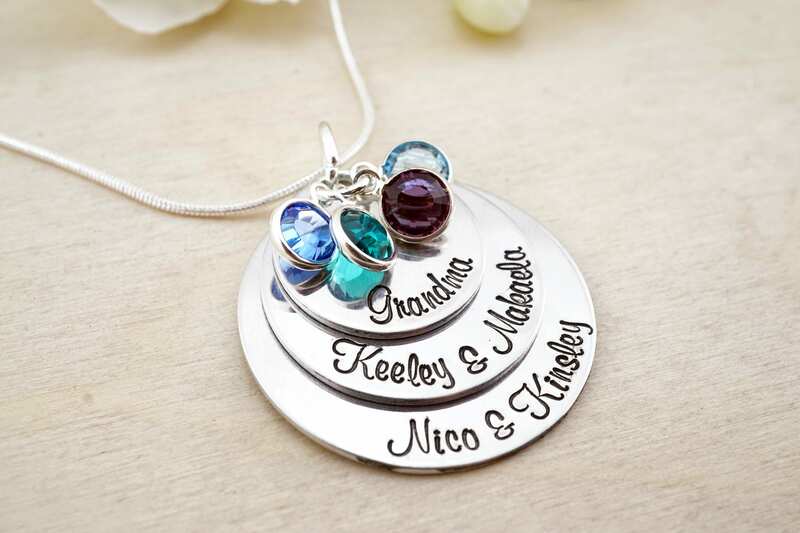 The names are stamped in a beautiful and elegant font. 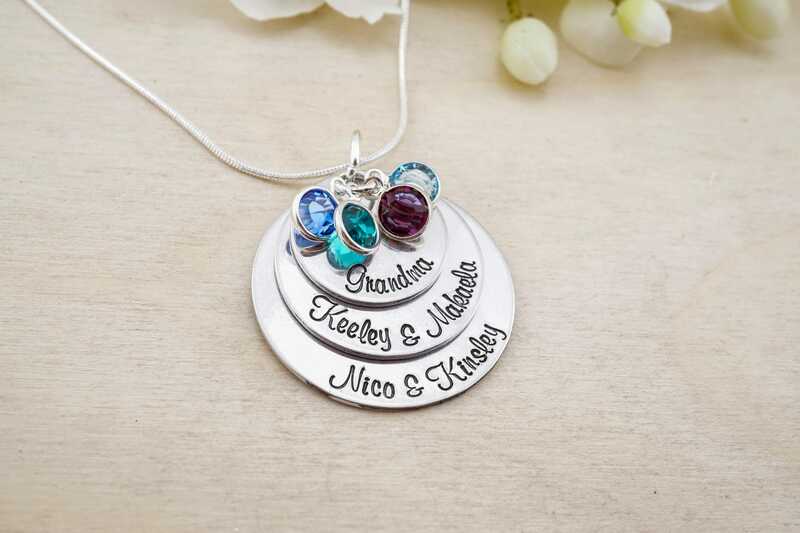 Swarovski birthstones are then added. When leaving your info, please provide BIRTH MONTHS and not stone names. 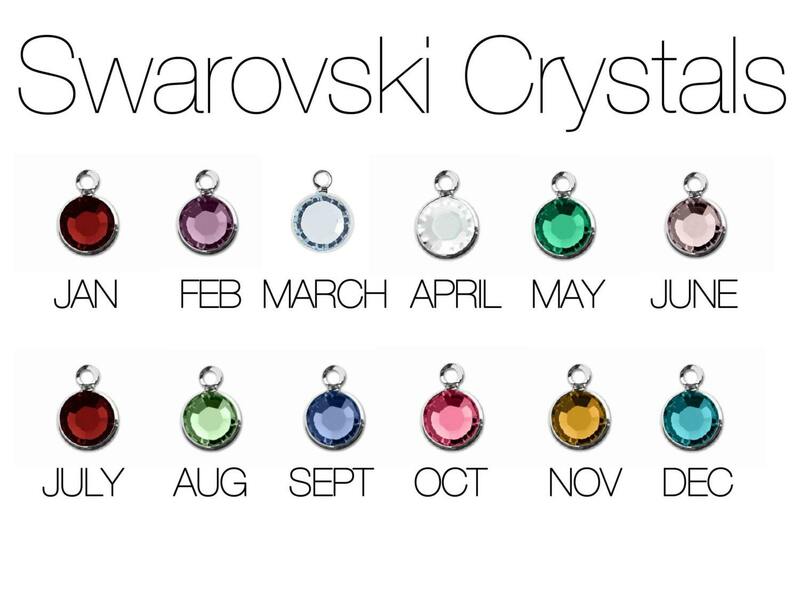 There are many different names for the birthstones so it is much easier to use the months. The middle disc is roughly quarter size, for a better idea of the size of the necklace. 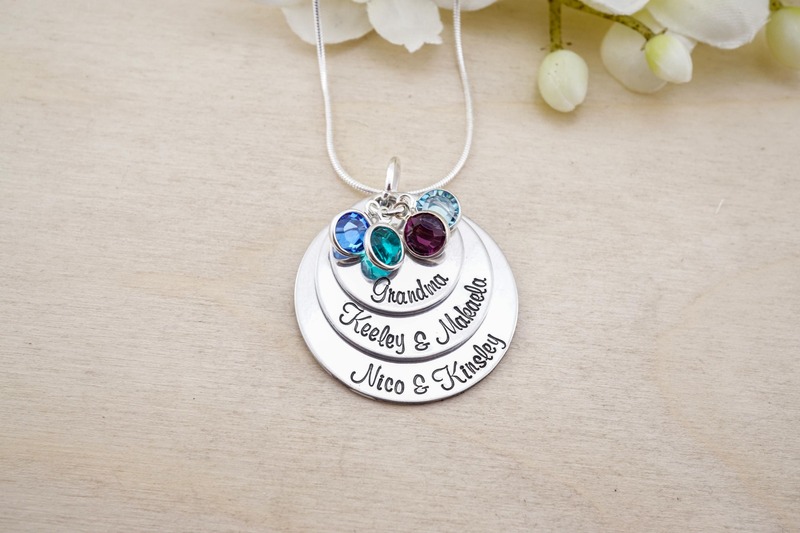 This listing is for up to 5 names & birthstones. PLEASE ONLY 5 NAMES UNLESS YOU CONTACT ME FOR ARRANGEMENTS. I HAVE HAD ORDERS WITH NUMEROUS NAMES THAT WILL NOT FIT AND I HAVE TO REFUND. It will come on a 20" chain.